Autumn is coming to an end, the year is coming to a close, and many Canadians are starting to think about whether or not their vehicle is up for the challenges that will come during the winter months ahead. As any experienced Canadian driver knows, icy, salty, grit-covered roads can be immensely hard on even the most rugged SUV, and weathering the winter well means making sure your vehicle is up to the challenge. Your car may run fine during sunny afternoon drives in October, but by the time January rolls around, you may find it simply can’t handle to relentless cold and the unforgiving Canadian highways. If you’re not sure that your current ride is up to the task, the good news is that replacing it doesn’t need to cost an arm and a leg. 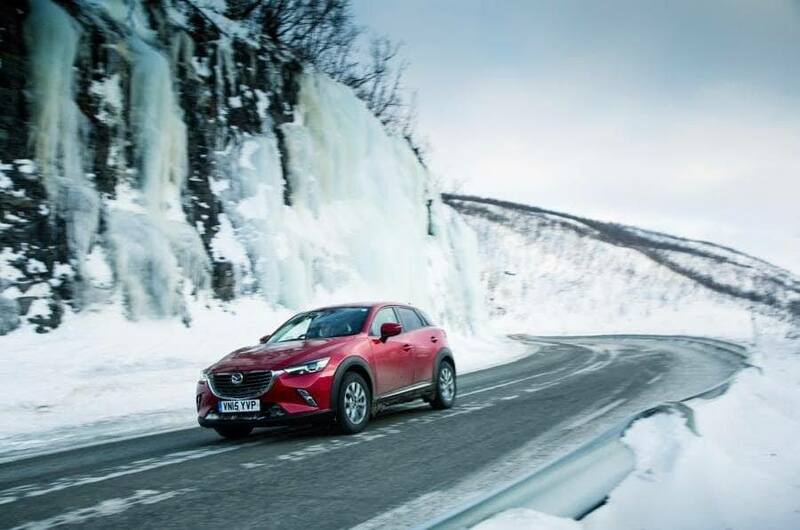 At your local Mazda Toronto dealership, we have more than fifteen years experience helping drivers like you find the perfect vehicle to not just survive, but and even thrive on those snowy winter roads. At Yorkdale Dufferin Mazda, we are proud to offer the latest Mazda vehicles, including the brand new 2019 Mazda CX-3 compact crossover SUV, the redesigned 2019 three-row CX-9 SUV, and most recent edition of the famous MX-5 Miata roadster. While they are designed to meet a variety of different needs, all of these vehicles deliver Mazda’s world-class engineering, sumptuous style, and fun driving experience. We also have a full range of 2018 vehicles, including the industry-leading Mazda 3 and Mazda CX-5. Over the past fifteen years, the award-winning Mazda 3 has made a name for itself as being one of the most fun and most driveable compact sedans on the road, while the CX-5 has become a staple of the mid-size crossover market. If you aren’t sure a brand new vehicle is right for you, we also have a wide range of pre-owned vehicles from recent years. A used Mazda is a great way to get top shelf quality and durability without paying new sticker prices, and we hand select our used Mazda vehicles for quality and performance, so you can be confident you’ll be getting the best of the best. And at Yorkdale Dufferin Mazda, we’re happy to provide you with some of the best Mazda finance options in the Greater Toronto Area, so whether you buy new or used, you’re guaranteed to get a vehicle that works for your lifestyle and a payment plan that works for your budget. There are plenty of ways winter is tough on your car, and there is nothing quite as bad has having your main method of transportation die on you in the depths of February. If you are thinking of replacing your vehicle, don’t put it off until next year; visit Yorkdale Dufferin Mazda, and discover just how easy it can be to get behind the wheel of a new or used Mazda that will bring a smile to your face on even the coldest winter days.